Most spa treatments speak to four of the senses, from sight and smell to sound and touch, but when you really think about it, there hasn’t been one blissfully perfect experience that engages all five — until now. 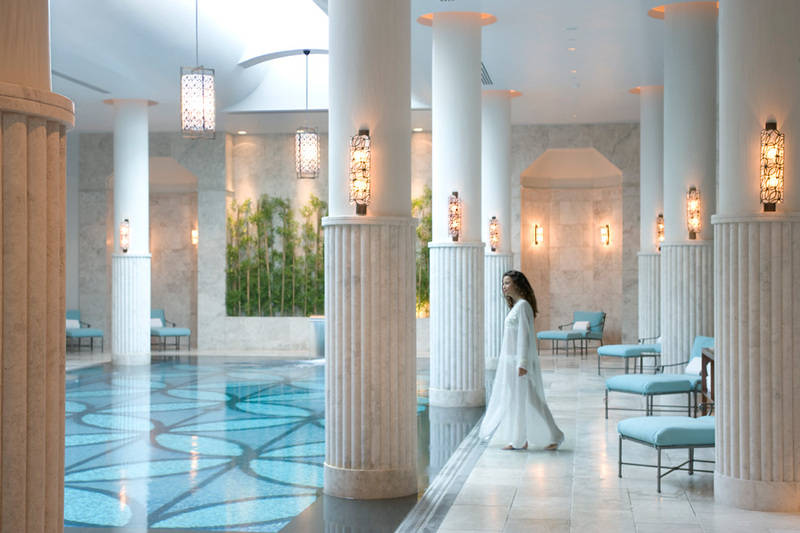 People have always flocked to the Spa at Four Seasons Hotel Istanbul at the Bosphorus for its traditional Turkish hammam treatment, a bathing ritual that activates blood circulation, detoxifies the body and — bonus! — improves the look of your skin. But the decadent new Epicurean Hammam will give you a taste of Istanbul in more ways than one. Part way through your 25-minute hammam treatment in the hot marble sauna, you’ll be served an olive oil ice cream popsicle to keep you feeling cool and hydrated — just before receiving a luxurious 15-minute foam massage with natural olive oil soap. Next, you’ll be drenched head to toe in a special creamy mixture of strained yogurt and rose water. As the healing yogurt absorbs into your skin, making it look firmer and brighter, a scalp massage will send you even deeper into relaxation. And at the end of your sensory journey, you’ll rest with a refreshing yogurt with honey to leave just the right taste in your mouth — and ensure you’re feeling good and looking great, inside and out. So check out Four Seasons Hotel Istanbul at the Bosphorus to stimulate your five senses with the exclusive Epicurean Hammam treatment. Oh, and did we also mention that spa goers voted the Four Seasons Spa & Hammam as their favorite spa in Turkey for three consecutive years in the SpaFinder Wellness Reader’s Choice Awards? Pair that with your popsicle! This entry was posted in europe travel, exotic travel, health and wellness retreats, istanbul hotels, luxury travel and tagged istanbul hammam treatments, istanbul hotels, turkey travel tips. Bookmark the permalink.